Click any of the questions below to reveal Rick’s responses. How many books are in the Percy Jackson series, and would you please write more than that? A: Percy Jackson & the Olympians is a five book series. The main story that started in The Lightning Thief is wrapped up in The Last Olympian. I believe it’s important for a series to have a strong ending, and I always knew that Percy’s story would be five books. I’m so glad everyone enjoyed the series, but if I tried to keep it going longer it just would not be as exciting. All good things must end, guys! Having said that, I had a ton of ideas from Greek mythology that I could not fit into the Percy Jackson series, and there were many other stories about the characters at Camp Half-Blood that I wanted to explore. Because of this, I launched the Heroes of Olympus series, starting with The Lost Hero in October 2010. Many of your favorite characters from PJO appear again in those books, but there is also a cast of new main characters. I know you’re thinking it's not the same, but that’s exactly the point; I didn’t want it to be the same. A story has to keep developing to be fresh, and if the author gets bored, the reader will get bored too. If you haven't read Heroes of Olympus yet, try it! I promise it’s not the end for Percy and the gang; it’s a new twist. And following Heroes of Olympus, you visit Percy's world again in The Trials of Apollo series. Again, different approach, the whole thing being told from Apollo's point of view as a mortal teenager, but all the characters from PJO and HoO show up in Trials. This is where you find out what's going on with them next. How many books are in your other series? A. Heroes of Olympus is a five-book series, like Percy Jackson. Kane Chronicles is a trilogy. Magnus Chase is a trilogy. Trials of Apollo will be five books. Where did you get your inspiration for the Percy Jackson series? A: My son Haley asked me to tell him some bedtime stories about the gods and heroes. I had taught Greek myths for many years, so I was glad to comply. When I ran out of myths, he was disappointed and asked me if I could make up something new with the same characters. I thought about it for a few minutes. Then I remembered a creative writing project I used to do with my sixth graders — I would let them create their own demigod hero, the son or daughter of any god they wanted, and have them describe a Greek-style quest for that hero. Off the top of my head, I made up Percy Jackson and told Haley all about his quest to recover Zeus’ lightning bolt in modern day America. It took about three nights to tell the whole story, and when I was done, Haley told me I should write it out as a book. Would you ever do a crossover series with Kane characters and Percy Jackson characters? A. Because of your interest, I decided to write a series of short stories in which the Kane children meet the demigods. In the first, "The Son of Sobek," Carter Kane meets Percy Jackson.In the second, "The Staff of Serapis," Sadie Kane meets Annabeth Chase. The third crossover story, "The Crown of Ptolemy," brings all four characters together. Why are there different authors for the 39 Clues book? A: There are ten books in the 39 Clues series. I designed the general story arc for the whole series and authored the first book, Maze of Bones, but the other books were published in such rapid succession — roughly one book every three months — that it would've been impossible for me or any other author to write them all. The editorial team worked with each author to make sure the story and the characters stayed consistent, but they also allowed each author to bring their own personal flair to the story. I think it turned out great! A: The only bad part about the books being so popular is that it has gotten very difficult for me to accommodate requests for signed books. I always pre-sign several thousand books that are sent to various bookstores. You may be able to snag one that way if you order from your favorite bookseller. I also post my public events in my News. Most of these events happen around the time a new book is released. If you don’t live close to an event, you can contact a store that is hosting me and pre-order signed books. Most stores that host an event for me will take your order, get your books signed on the day I do my event, then ship the books to you. At the actual book events, there are always signed books available for sale, but I am NOT able to sign and personalize all the books that every fan brings from home because of the size of the crowd and the number of books. It makes me sad that I can't do that anymore, but it just isn't possible to get through a signing line that big in a single event. Finally, please don’t attempt to mail your books to me for signature. I get too many requests to accommodate shipments of books, and by the time they get to me (if they get to me) they tend to be in pretty bad shape. If two demigods had a child, would that child be a quarter-blood, a demigod or what? Would you name a character after me? A. I understand! It's cool to imagine yourself in a story you like. However, I don't name characters after real people, except very rarely when it's someone I know personally, perhaps a former student of mine who has an interesting name. I get many, many requests like this. If I named characters to honor requests, I'd have to have about ten thousand characters in each book. Still, if you happen to come across a character with your name in my books, you're welcome to adopt him or her! Where DO you get your character names? A. Most of them are simply names I like — names I think will sound good in a book. Percy is short for Perseus, the old Greek hero. I know the original Perseus was the son of Zeus, but as explained in The Sea of Monsters, Percy's mom named him this because Perseus is one of the few heroes who has a happy ending (in most versions). Jackson is a name I've always been fond of for many reasons. I was an American history teacher when I wrote the Lightning Thief, so I was teaching about Andrew Jackson and Stonewall Jackson. My grandfather's nickname was Jack. Also, Jackson was the name of my protagonist in the adult mystery series I began writing in 1997, which featured private eye Jackson "Tres" Navarre. I just thought it sounded good with Percy. Annabeth is a name I made up. I've never known anyone named Annabeth, though I've met a few fans with that name since. Also, Annabeth is modeled after Atalanta, the most famous Greek heroine, who is also described as a blond warrior girl with fierce eyes. Grover? I don't know. I guess I watched too much Sesame Street as a child. Some names were picked as shout-outs to people I knew. Mrs. Dodds is based (loosely) on a real Mrs. Dodds who taught math at the school where I worked. Mr. Brunner was the Latin teacher there. Connor Stoll, Travis Stoll, and Charles Beckendorf are all former students of mine. I also had students named Miranda and Nico. But like I said, most names I pick because they just work well. I also have to be careful not to have too many names with the same first letter. It would get confusing, for instance, if everyone's name started with 'S' — Sam, Sean, Shaw, Sally, and Susan. One of the most important reasons I became a teacher was to advocate for marginalized children — those who are bullied or misunderstood, those who feel lost and alone. As a middle school student myself, I certainly felt that anguish. As a middle school teacher, it was critical to me that all my students saw my classroom as a safe, supportive environment where they could be honored for who they were and express themselves without fear. I’ve taken the same approach with my writing. It’s essential to me that young readers find a variety of relatable, positive role models in my books. Every child can be a hero. No child should be shamed or shunned for being different. Nico’s sexual orientation became clear to me the longer I wrote about his character. It was not something I planned. I had no agenda. But when I realized this was a major part of his life experience and the reason for so many of his difficulties with the other characters, it would have been a disservice to his character, the plot of the books, and all my readers simply to sweep the issue under the rug and pretend it didn’t exist. Turning a blind eye to children’s needs is never an acceptable answer. I’ve been lucky enough to teach all sorts of students — fifth grade to twelfth grade, rich and poor, from numerous ethnic backgrounds, with diverse religious traditions and a variety of learning differences. I’ve also taught gay, lesbian, bisexual and transgender students. Some self-identified as early as elementary school. Some came to terms with their sexual orientation later in high school. Most had a hard time during the middle grades, which are tough years for any child. All my middle school students enriched my classroom. They made me a better teacher and a better writer for children, and they all deserve my support. I am committed to writing appropriate books for the middle grades. This means no bad language, no gratuitous or explicit violence, and no sexual content beyond what you might find in a PG-rated movie — expressions of who likes whom, holding hands, and perhaps the occasional kiss. The idea that we should treat sexual orientation itself as an adults-only topic, however, is absurd. Non-heterosexual children exist. To pretend they do not, to fail to recognize that they have needs for support and validation like any child, would be bad teaching, bad writing, and bad citizenship. Having said that, a good book, like a good classroom, should raise questions, not insist on a particular set of answers. It certainly should not ignore difficult questions. Whatever a family’s moral and religious beliefs on the topic of sexual orientation, I hope The House of Hades will provide an opportunity for parents to talk to their kids about what they believe, and why they believe it. Most importantly, I hope the story continues to entertain and keeps kids reading! Can you please release the next book faster? I can't wait that long! A: I really appreciate your enthusiasm. Unfortunately, I can't release the next book until it is written. Trust me, I'm writing as fast as I possibly can without sacrificing quality. Normally it takes me one full year to write each book. I'm trying my best to speed that up, but it's a slow process to make a book and get it right. Readers will always be able to read faster than I can write. Believe me, I want the books to be done as much as you do. I'm not keeping any complete manuscripts locked up on my computer just to be mean. If the book isn't out yet, that's because it isn't done yet! Can you tell me the titles, release dates, or anything about what happens in your future books? A: Anything that isn’t posted on the website, I can’t tell you. Sorry! I don't live in the U.S. When does the next book come out in my country, and where can I buy it? A. I usually only get information about the U.S. and U.K. editions, which come out at the same time. (This applies to Canada, New Zealand and Australia, too.) I don't know the publication schedules for all the other countries where my books are published. For information about the books in your country, your best bet is to ask a local bookseller. Usually booksellers can look up that information and tell you when the next book is coming out. Sometimes they can also special order books if the books are not in their inventory. I hope you're able to find what you're looking for! I have a questions or comment about the Percy Jackson movie/movies. A: Sorry, that’s not my department. I can only tell you that the movie Percy Jackson & the Olympians: The Lightning Thief, released Feb. 12, 2010 and directed by Chris Columbus, was loosely based on my book The Lightning Thief. I did not write the script or help make the movie. I didn't even see it, because I didn't want the movie version to change the way I saw my characters or settings in the series. I just write the books. I can’t comment or provide any additional information about the movie version. The same applies to the Sea of Monsters movie in August of 2013. I read the script but never saw the film. I know nothing else about it. I have no information about future movies. I have no indication that those will happen, but the movie makers don't consult me on such things. It is entirely their call. Recently, I released some of the original emails I sent to the producers of the movies to give you an inside look at what was going on. You can read them here. Did you have any control over the movie? A: No. When an author sells the rights to a book, typically full creative control goes to the movie studio and director — in this case, Fox 2000 and Chris Columbus. The movie rights to Lightning Thief were sold before the book was even published. I made the decision to sell the rights so early because it brought lots of public attention to the books and helped the series catch on. However, once the movie rights are sold, the author has no control over what happens in the movie. They let me read a version of the script and make some suggestions, but that was the extent of my involvement. I can’t tell you anything further about the movie. Like I said, I didn't even see it. Nor can I give you contact information for anyone who was involved in the movie. Sorry! Gasp! You mean the author of the book doesn't control the movie? Why not? A. It's VERY rare for an author to be involved in a movie version or have any input whatsoever. Sure, there are exceptions, but they are just that: exceptions. There are many reasons for this. Movies and books are different forms of storytelling. Film makers figure they know more about making movies than the author does, so most of the time, they insist on total control. I explain it this way: Selling someone the movie rights to your book is a lot like selling someone your house. Once you sell it, it isn't yours anymore. You have to move out and let the new owners move in. If you insisted on a bunch of conditions before you sold it, like: "You have to let me control what color you paint the house, how you decorate it, how you remodel it, and oh yes, you have to let me continue to live there," well, most people wouldn't agree to buy a house with all those restrictions, would they? When you buy a house, you want to have control to do what you want with it. You could repaint it, remodel it, even tear it down and build something entirely new. The old owners wouldn't have any say in the matter. Movie rights work the same way. If someone says, "Why did you let them do blah, blah, blah in your movie?" All I can do is shrug. It's not a matter of "letting them" do anything. It's not "my movie." It's not my house anymore. The new owners can do whatever they want. After all, they didn't purchase the rights for *me* to make a movie. They purchased the rights for *them* to make a movie. I wish them the best, but movie-making is not my thing. I have no interest in it. Besides, I may be biased as a novelist, but I believe if you have a book, you already have the best version of the story. There is no way a movie can ever create images as good as the ones you actively create in your imagination as you read. I want to be in the movies/ Do you have any information on casting? A: No. As I said, I was not involved with making the movie, nor did I have any control or input on the casting choices for the first movie. Asking the author of a book on which a movie was based to give you a part in the movie is like asking the custodian at your school to give you an A in English class. It just doesn't work that way! I don’t know if future movies will be made, and if they are, I again will have nothing to do with the casting process. There was a Percy live musical! What about a Percy Jackson TV show? News of the musical has made a lot of fans ask: But, but, but…. TV! Alas, live theater and television are two completely different things. The rights for television/film to anything involving Percy’s world, including sequels like Heroes of Olympus and Trials of Apollo, are owned solely and forever by Fox (which is now part of Disney, but as far as I am aware, nothing has changed regarding PJO). I get the desire for a television show of Percy and friends. There is a trend of taking failed movies (Cough. Percy Jackson. Cough.) and rebooting them as television. If they did it right, could it be great? Sure. But what are chances of that? I’d say somewhere around zero percent. Fan: But can’t you buy back the rights from Fox? Me: I tried. They declined to sell back the rights at any price. Fan: Couldn’t another company buy the rights and make a show? Me: I’ve asked about that too. No joy. Fan: But why weren’t the movies more faithful? Why did you let them change the story? Me: The book author doesn’t “let” Hollywood do anything except buy the rights or not buy the rights. When Hollywood buys the rights, those rights include the power to do whatever they want with the source material. That isn’t just the case with me. That is the standard contract all Hollywood studios insist on with all properties. If I’d sold to a different studio, it would have made no difference. The deal would’ve been the same. Me: Rowling is always the extreme exception to every rule. However, even she did not have as much power as people think she did over the movies. She has said as much. She did not control casting or scripts for the Harry Potter movies. In fact, when she got veto power over the script for Fantastic Beasts, that made international headlines because it was the first time she or any author had EVER gotten such control over a film project. It’s always wonderful when a movie or TV show is faithful, but that never happens because an author got control. It’s because the studio listened and everyone was on the same page. It is much more common for that NOT to happen. Be assured, I offered a good deal of advice and criticism and voiced my concerns about the first movie as it was being made. You can read it here. How much that helped, you be the judge. Me: Netflix is an entirely different company than Fox or Disney. Could they strike some kind deal? I mean, I suppose it’s hypothetically possible, but I have absolutely no indication that will happen. I would consider it more likely that Disney would compete with Netflix, rather than team up with them, but again, I have no information. That's just speculation. Me: Judging from what you’ve seen, do you really think the movie industry listens to me about anything? Fan: But somebody on Netflix customer service told me it might happen! Me: Uh-huh. And you think the random person on the chat room for customer service knows about studio decision-making? They are trying to sell you a subscription. They don’t know any more than you do. Fan: We could have a bake sale. Fan: . . . We’re not getting a TV show, are we? Me: It doesn’t look like it. No. And so, alas, that’s where we are, folks. Please don’t believe random Internet rumors. If I hear anything different from a reliable source ten or fifteen years for now, I will let you know. I would not hold your breath, though. On that upbeat note, I will say: Happy reading! The one thing I can and do control is the quality of the books. I assure you I will do everything I can to keep those coming and keep them entertaining! What about a Percy video game? A: Fox/Disney owns those rights as part of the movie deal. I understand there was a Nintendo DS game associated with the first movie release, but I have no other information on plans for other video games or other merchandise. 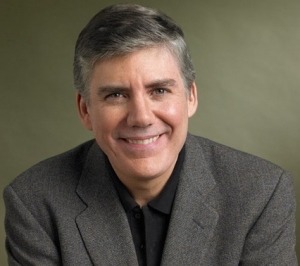 I'm interested in booking an event with Rick Riordan. How do I do this? A: Unfortunately because of my writing schedule I’m no longer booking events. I only do public events as part of the formal book tour each time a new book comes out. These are all arranged by the publisher many months in advance, not by me. While I visited hundreds of schools in the past and loved meeting young readers, the travel was hard on my family and my writing deadlines suffered. Because of this, I no longer arrange any events outside the book tours — this includes school visits, online events, book fairs, private functions and any other type of event. Right now the most important way I can connect with young readers is to write the best books I can as quickly as I can, but thanks for your interest! Will you ever do an event in my city/state/country? A. I love meeting my readers! The only bad thing is that there is only one of me and there are so many places to visit. Each time a book comes out, the publisher schedules a tour, but we usually only have time to go to eight cities at the maximum, and that's just for the U.S. The publisher decides where to send me. I don't make the tour. They try to send me to different places each time, but still, they can't possibly send me everywhere. That means it's unlikely I'll be in your area on any given tour. I'm never able to travel internationally for tours just because I have to spend most of my time writing, and travel is very time-consuming. I'd love to visit all the countries where my books are published, but if I did that, it would take me five to ten years to write each book, and I don't think you want to wait that long! So, no, if you live outside North America, you will not see me on tour. Remember you can order signed books from any store that hosts an event, however, as described above. Most stores ships internationally. I know it says I can't email you, but can I email you anyway? A: I’m sorry, but I can’t respond to emails and I don't share my email address. Like Percy, I’m pretty ADHD, and it's simply too easy for me to get distracted from my writing. If that changes sometime in the future, I will post the information on this website. But for now, the best way that I can communicate with you is by writing the best story I can for you to read, and writing it as quickly as I can. That’s what I’m working on. Thanks for understanding! Can I reach you through Facebook? A: Click here for my Facebook page. My blog and tweets feed into my Facebook page, but I'm not an active Facebook user. I never read or respond to messages through Facebook. As mentioned above, this is so I can keep focused on my writing. BE AWARE: Any other Facebook pages, Twitter accounts or other social media accounts claiming to be me or authorized by me are NOT. Always be skeptical when someone makes a claim about their identity on the Internet. People pretend to be someone else all the time. If you get an email, instant message or other communication from someone online claiming to be me, it is NOT from me. I don't use any accounts except the ones above, and I don't reply to emails or initiate communication with people online. Can I reach you through Twitter? A. You can follow me on Twitter at @camphalfblood. This is a good way to keep up with the latest from me, but due to time constraints I don't often reply to questions through Twitter. I also don't follow back fans, again because I can't reply to direct messages. Do you ever read fan fiction? A. No, never. I am aware of fanfic, but I go out of my way to avoid it. For one thing, it's legally tricky ground. I can't actively endorse anyone else using my copyrighted material. I also don't want anyone claiming later on, "Hey, you got that idea from my fan fiction! "Aside from that, I have to admit I find fan fiction a little unsettling. It's like somebody getting into my closet and trying on my clothes. It's just weird seeing someone else try to write about my characters. Then again, I can't listen to the audio versions of my books. It drives me crazy hearing another voice beside my own narrating my stories. And, as I've explained many times, I also couldn't watch the Percy Jackson movie for much the same reason. A. I used to, but I just didn't use it, so I don't anymore! BE AWARE: Any other Tumblr account that claims to be me is NOT. A. Yes. My Instagram user name is simply rickriordan. BE AWARE: Any other Instagram account that claims to be me is NOT. Is there really a Camp Half-Blood, and can you make one in my town? A: I only know of a few bookstores that run summer programs inspired by Camp Half-Blood: BookPeople in Austin, Texas, is the most well-known. The program is amazing, but I don’t run the camps myself so I can’t give you any information. You’d need to contact the store. Running a camp takes a huge amount of time and energy, which is why only a few stores in the US have them. It’d be cool if I had strike teams ready to deploy and set up camps across the country, but alas, I don’t. The camps that do exist happened because some great booksellers in those communities decided to take on the challenge. Can I get Camp Half-Blood t-shirt? A. Many years ago, I used to give out Camp Half-Blood t-shirts for freebies at events, but I can't do that anymore. It caused problems, because I could only give out a few, and some people who didn't get t-shirts felt really bad or parents got upset. Those t-shirts are long gone! Occasionally the publisher will print T-shirts for promotional giveaways at events, but I don't have any extras to share and they can't be ordered or purchased. I don't sell t-shirts. It's just not something I have the time or inclination to do, since most of my time needs to be spent writing the books, right? However, many fans make their own Camp Half-Blood t-shirts, and they are much more creative than anything I could come up with. If you want to do that, go for it! I'm doing a report for school. Can you give me some information? A: The website has a ton of information for school reports. for biographical information on me. I can’t do individual interviews for school reports because I get way too many requests, but do some searching around the website and you should find everything you need. And please be careful of using Wikipedia. It's very often wrong. Good luck with your project! I need something else to read! Can you recommend any books? A: You bet! The best place to go is my Goodreads page, where I have reviews for hundreds of books I've enjoyed, both children's and adult titles. You got something wrong from Greek mythology! Why? A. Ha! I love my readers because you guys are very astute and you know your mythology. But wait, what do you mean by "wrong"? Remember Greek mythology has been around for thousands of years, and it was retold over and over again, the details changing as different storytellers brought the myths to different cities. There are so many different versions of each myth. You may have read one version from a mythology book, but that doesn't mean it is the "right" version or the only version. I tend to pick the version I like best, and the one that fits best into Percy Jackson's world. For instance: Some myths say Hephaestus was the son of Zeus and Hera. Others claim he was the son of only Hera, with no father. Hephaestus was either born ugly, or he became ugly when he was thrown down the mountain — depends on which version you read. Either Hera threw him down, or Zeus did. In some versions, he fell down Mount Olympus twice! Again, depends on the version you read. Which version is "right"? Pick the one you like best! But that doesn't mean the other versions are wrong. They are just different. I stick pretty closely to the myths, but I do favor some versions over others. Where I do bend the stories — like giving Athena demigod children or making Percy the son of Poseidon — I try to explain myself in the books. What about writing books based on other mythologies, like Indian or Chinese? A. So many great mythologies! I'm not an expert on all of them, though, and I think it's better to let a writer who know those subjects write about them. That's one of the reasons I started the imprint Rick Riordan Presents. You can read about it here. A: You bet! Most importantly: read a lot. You'll learn how to craft a good story by reading a wide variety of different styles and genres. The best writers are voracious readers. The website has a more complete section with advice for writers here. You can also read this speech I wrote for a writers' convention some years ago. It has more advice. Please note that I’m not able to read and provide individual comments on people’s stories because I get WAY too many requests. I have to spend most of my time on my own writing, but hopefully the advice on the website will help you! I love the series so much I'd like to continue writing the books myself. Can I have permission to use your characters and ideas? A: I’m honored you like the series so much, and I get this question frequently, but my publisher would be pretty upset if I gave anyone else permission to write about Percy's world. If you’re writing stories just for your own amusement and not planning to publish or share them, that’s no big deal. But if you are hoping to write a book that would be published some day, you need to come up with your own characters, settings, and stories. Of course, Greek mythology itself is thousands of years old. Anyone can write about the gods and monsters. Perhaps you can come up with your own original spin on that material. A. But wait, there's more! Be sure to check the interview with Rick for more.